Description:The camera is looking northwards along Hobson Street in Burslem. 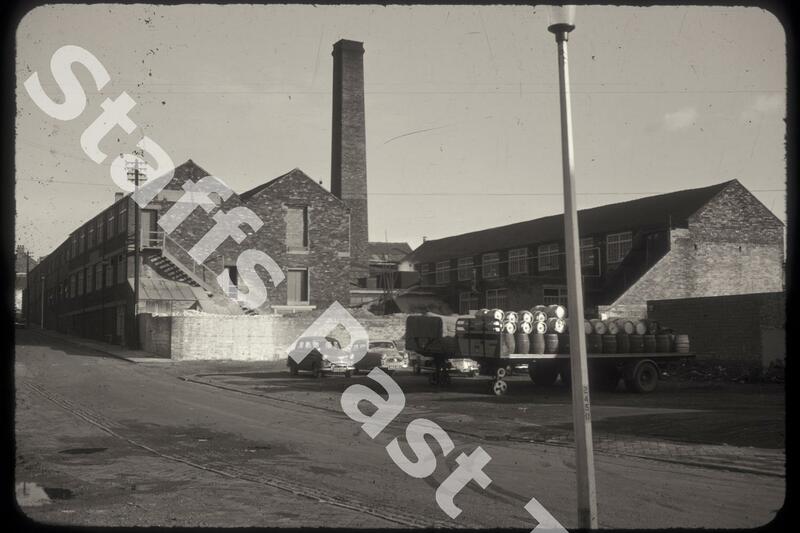 The works on the right (Albert Potteries) is now part of the Dudson Group, manufacturing Armorlite tableware. Hobson Street was originally called Albert Street, the pottery dating from 1860. Charles Hobson later operated the Albert Street Pottery.